Premium 7 ounce, single bend leather. 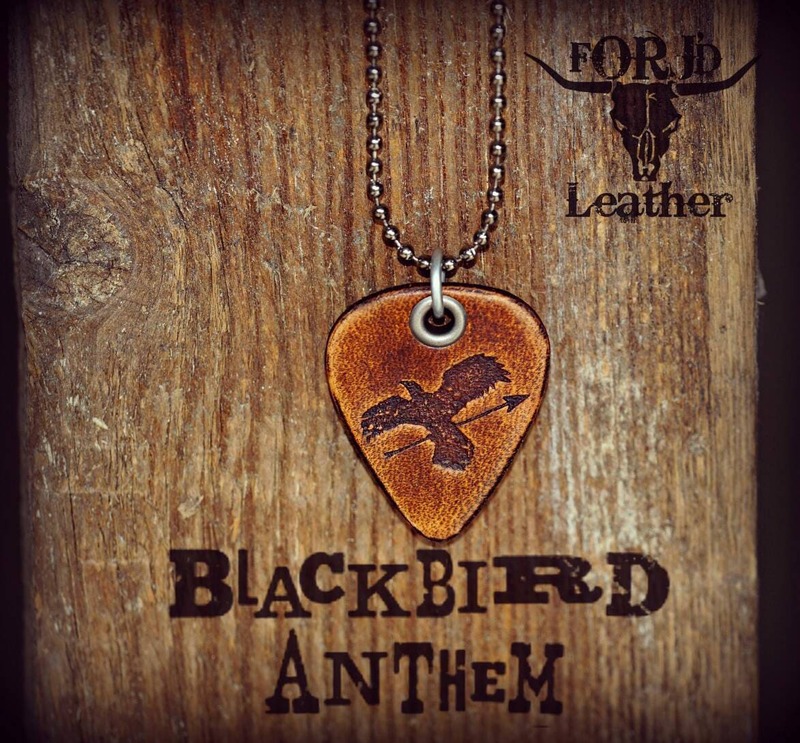 Engraved with the exclusive Blackbird Anthem logo. Hand dyed, tooled, distress, and finished in house. Comes on a 20 inch, military style, gunmetal ball chain necklace.